TASK Security Systems design and install the most sophisticated Intruder Detection systems on the market today. We offer totally tailored solutions to meet your individual requirements. Our Intruder Detection systems are second to none and with over 40 years experience in the security industry we are market leaders in this field. 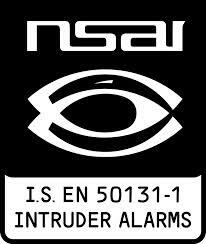 TASK Security Systems are a registered installer with the NSAI and conform to Irish Intruder Alarm standard I.S EN50131-1:2006 and are licensed by the Private Security Authority (PSA). If you are planning to install an intruder alarm within your home or business please Contact Us today to discuss your requirements. Why Choose TASK Security Systems? Thousands of clients put their trust in the market leaders, TASK!